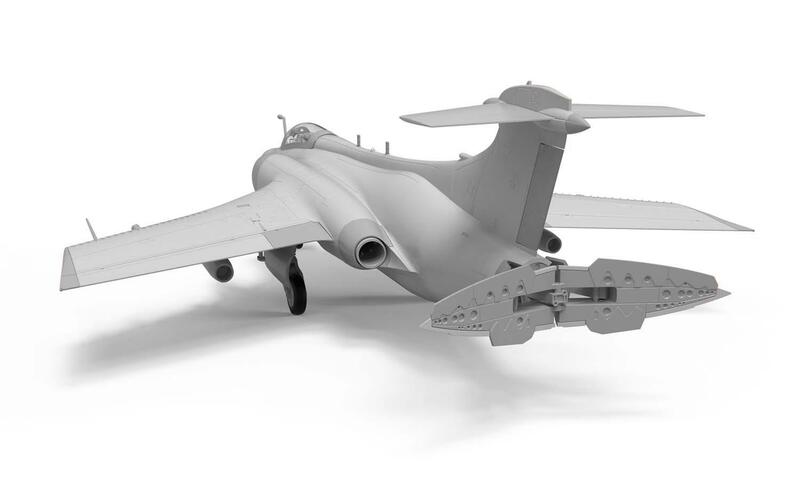 An accurate, modern kit of the mighty Blackburn Buccaneer has been long overdue, and we were pleased to learn that Airfix is working on a new-tool kit of that Cold War era classic. Addressing most of the issues which prevented the early Buccaneers from realizing their full potential, the S.2 was the definitive variant of the aircraft, boasting a modified wing, increased fuel capacity and a pair of more powerful Rolls Royce Spey engines. 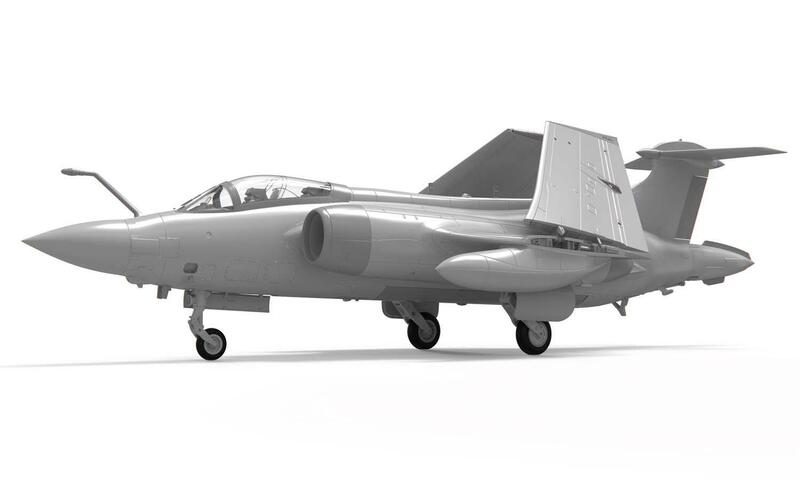 Airfix has released this series of 3d renderings of the kit’s design. The final product is to be expected in September 2019. Nice to see, a stable mate for their Phantom. 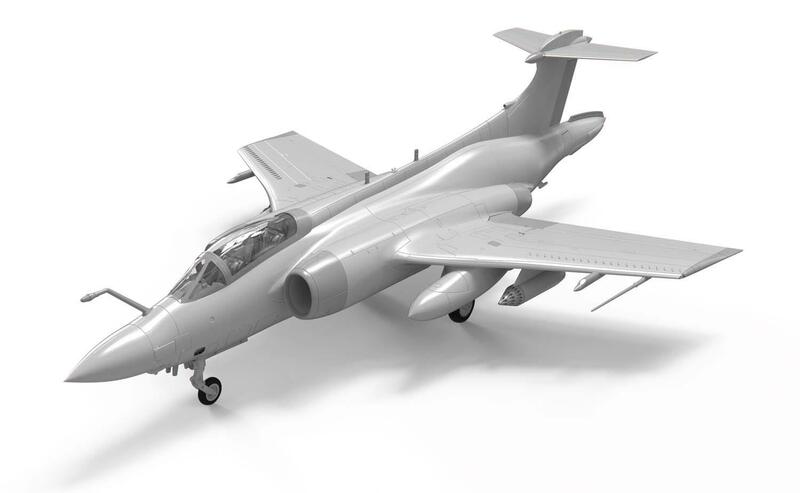 With just recently building the very basic Revell/matchbox kit and having built the Airfix years ago, it takes a bit of work to build either one and get a nice replica of the Buccaneer. Though they do look impressive and much larger than you think they are next to a Phantom. This is great news and will definitely get one. This is great news. Now let see if they can modernize their 48th scale kit as well. 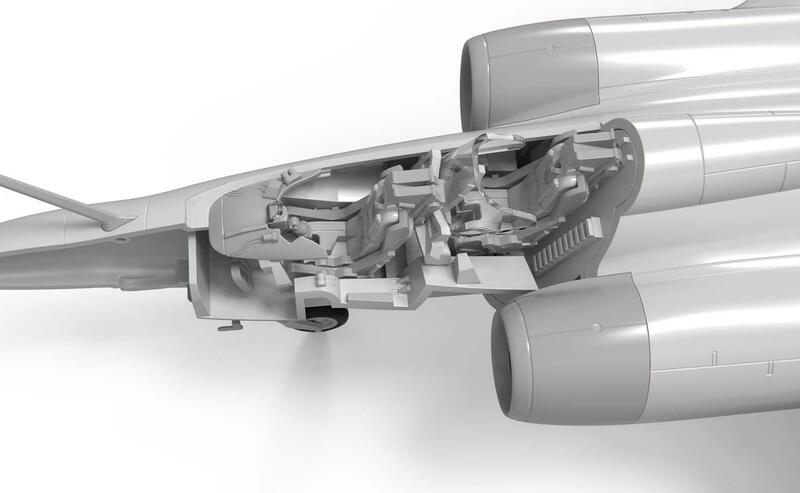 With their advanced CAD design process, Airfix seems to have mastered the process of up-/downscaling their kits between 1/48 and 1/72 scales. 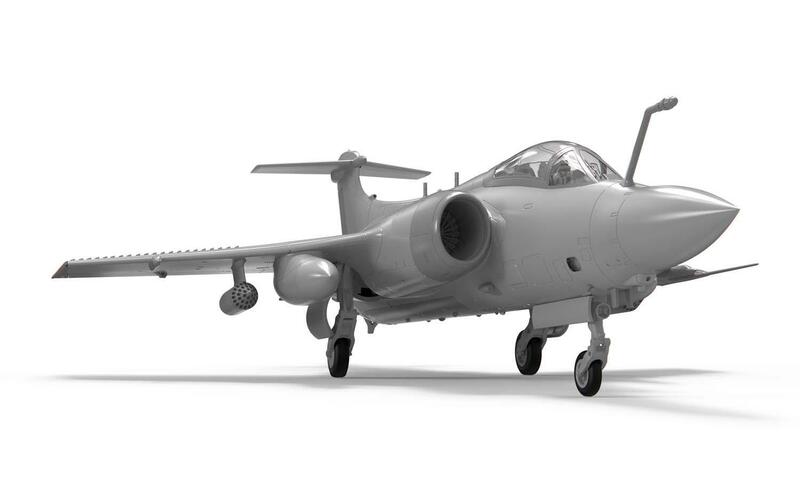 With this in mind, I am confident that the 1/48 Buccaneer from Airfix will follow.